For Hole 9, long is better than short. Balls short of the green will roll back towards the pond. 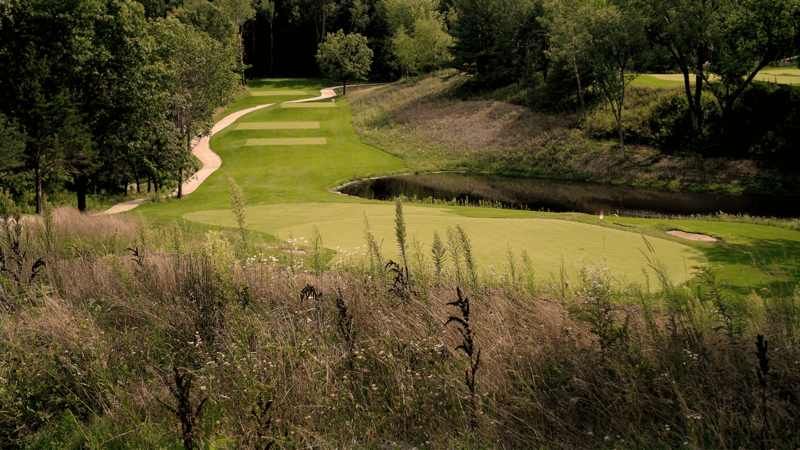 Take enough club here and use the slope to help feed your ball to the green. Bunkers are found on the right and left of this green. The green is split into three distinctive shelves.